Numerous studies have confirmed that drinking while pregnant can lead to dangerous complications for an unborn child, but a new study shows that the harm doesn’t stop there. 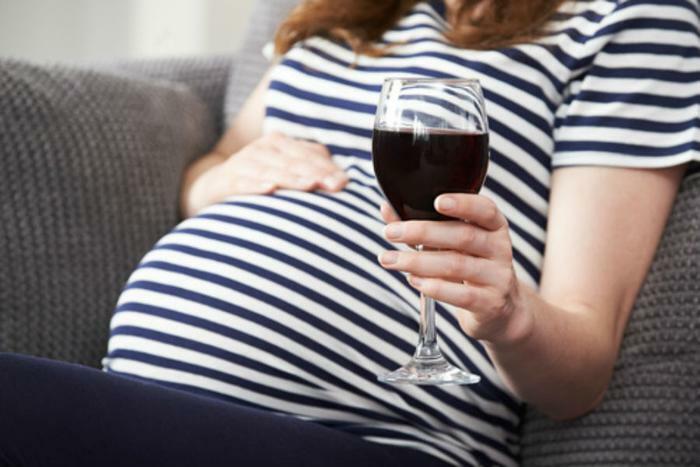 Researchers from the University of California, Riverside (UCR) have found that women who drink during pregnancy not only negatively affect their own children, but their potential grandchildren and great-grandchildren as well. “Traditionally, prenatal ethanol exposure (PrEE) from maternal consumption of alcohol, was thought to solely impact directly exposed offspring, the embryo or fetus in the womb,” explains lead researcher Kelly Huffman. Previously, researchers working at UCR had found that PrEE negatively impacts the neocortex – the region of the brain responsible for cognition and complex behavior. These brain changes can lead to a variety of symptoms for infants who were exposed to alcohol in the womb, including abnormal motor behavior and increased anxiety. In the latest study using mice, Huffman and her colleagues also found strong evidence that PrEE exposure also generates similar neurobiological and behavioral effects in subsequent generations. “We found that body weight and brain size were significantly reduced in all generations of PrEE animals when compared to controls; all generations of PrEE mice showed increased anxiety-like, depressive-like behaviors and sensory-motor deficits,” Huffman said. Huffman believes that the findings indicate that drinking alcohol while pregnant can lead to a domino effect of neurological changes that can be inherited transgenerationally. The researchers hope that they can eventually begin to create therapies for this problem by understanding how these processes work. The full study has been published in Cerebral Cortex.